Everyone can grow herbs, flowers, and vegetables. To start, answer when, where, what, and how!.Check the dates when your growing season begins and ends. Look for at least 6-8 hours of sunlight. Be careful of trees and shrubs as they take nutrition and water from the soil, too. Good soil with good drainage is needed. Testing soil before you start gardening is recommended to learn if your soil needs any additional nutrients. If nutrients are needed, you can add nitrogen and/or compost. You will also need a water source close by. Then you are ready to choose where to plant your vegetable garden. There are several places to garden: in the ground, in raised beds, on vertical surfaces, and on roofs and decks. 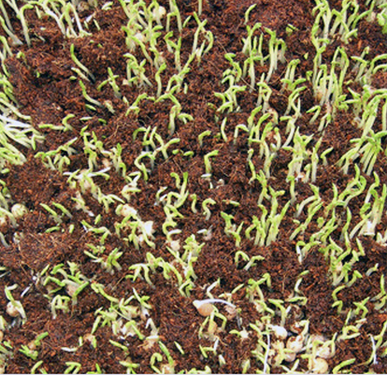 Gardening in the ground is the original growing method and is easy once the soil is prepared. Gardening in raised beds is a common practice from before colonial times because it provides easy access, early planting and extended growing seasons when covered. Vertical gardening happens on fences and walls. Roof vegetable gardens happen in pots or on green roofs. Get gardening! Growing lettuce is easier than you may think. You can check a growing zone map to see when the danger of the last frost has passed. After the last frost, you need to find a sunny place, get some seeds, prepare the soil and get started! Before you start digging, make sure that there are no utility lines in your yard where you want to plant your garden. You can ask a parent and you can call your local utility company who will come and tell you where NOT to dig! Once you know your area is safe and sunny, it helps to turn the soil over and make sure that there is nothing growing. If you are making a garden in a grassed area, you will need to remove the sod first before turning the soil over. Hopefully you will find some worms and know that your soil is healthy. It is always a good idea to add in some manure and enrichment. The soil should be worked, or turned over to a depth of six to ten inches. While you are preparing your soil you can draw a plan of your garden. 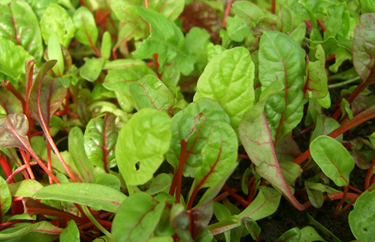 Choose different kinds of lettuce seeds to grow. 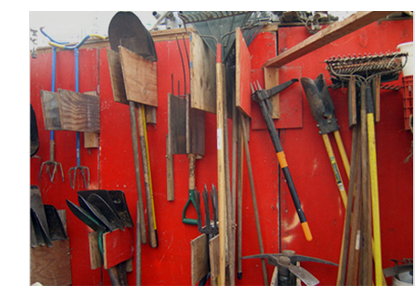 When the time comes you will need gardening tools. You will need string, a ruler to measure distance between rows, posts to hold the string to keep the seeding rows in straight lines, a rake to prepare the ground and break up large clods of dirt; a spade to dig up the soil; a hoe to break up the soil and weed between plants; a trowel to break up the soil around maturing plants and dig out weeds; and a watering can (and or hose with sprayer) to water your garden. Measure your rows; tie a string held between two posts to guide your seeding. Use your trowel to draw a seeding indention line; drop the seeds in; cover them with dirt using your hoe. Water. Wait. Water when dry. In only a few days your lettuce will sprout! Growing vegetables is easy. After checking your growing season starting date and when the ground is thawed, choose a good sunny location with access to water. Next, gather your gardening tools then add compost to prepare your soil and purchase seedlings or small starts. When planning a vegetable garden, think about which vegetables grow vertically, which grow quickly and need to be harvested and replanted, and where you will walk in your garden to weed, seed, water and harvest. Vertical cropping is growing plants like beans, cucumbers, and squash on vertical poles, wire cages, or trellises. Succession planting is when you grow one plant , then a second, and then a third during your growing season. You can start with lettuce, replace it with beans, and then grow lettuce again. Intercropping means mixing fast growing plants with slow growing vegetables. Draw up a plan for a vegetable garden by selecting what you will grow, and how far apart you will place the plants/seeds. Submit your plan and prepare your plan of action before your growing season begins! 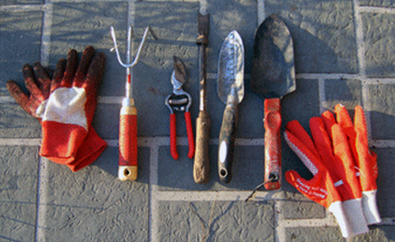 With the spring thaws, get out your gardening gloves! When your soil is poor or your yard or school ground is paved, you can make a raised gardening bed. First you need to find a sunny place that everyone agrees can be an area for raised bed gardening. Raised beds are easy to construct with cedar wood, or even branches. 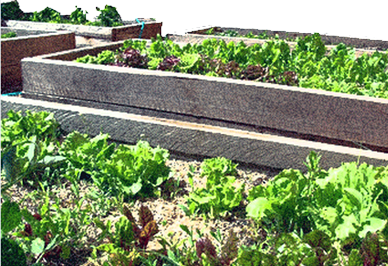 Look at “How to Build a Raised Bed Garden” to size your bed. Choose a sunny location where water can drain out of your raised bed. North/ south orientation is best for low plants and taller plants should be planted on the east to allow the afternoon sun to shine on the shorter plants. Draw a diagram of your raised bed lay-out before making a list and purchasing or securing necessary materials. Next, lie out the beds and join the sides. Be sure to reinforce the corners or provide cross ties to strengthen your box. Once the four walls are constructed, put the soil in. Be sure to get fresh nutrient rich soil. Then get your seeds! When your raised box is full of soil, make rows of impressions for seeds. Follow the directions on your seed packets for spacing and watering. Overnight your plants will start to grow! Keep a journal of what you plant, when you plant, and any insect and disease problems. It helps to take pictures of your garden every week throughout the growing season and post them in your journal. Note the weather conditions. This way you will see if the seeds and plants are receiving enough sunshine and water, have adequate drainage, and are growing to their optimum potential. Record also the harvest dates and yields. All gardeners learn season-to-season and year-to-year. Can robots help grow vegetables? The answer is, ‘yes!’. Japan’s SPREAD has built its first robotic farm to mass produce lettuce. This development of a prototype addresses the challenge of growing local food with a low cost, water saving process. People still plant the initial lettuce seeds, but then, robots assist with the care and harvesting. Ten thousand heads of lettuce can be harvested a day! The system promotes social sustainability by providing a renewable, local food supply. It promotes environmental sustainability by using less land and water to produce more food with less transportation costs. Design an indoor lettuce farm for your city and draw the plan and section of your greenhouse labeling key parts. It is important to know your growing zone. It is important to read your seed packets to place the seeds at the appropriate depth. Succession planting means to plant the same plant at different times. Raised bed plantings should run lengthwise north and south. It is a good idea to have your soil tested to see if any nutrients need to be added before starting a vegetable garden.